Today in Osaka, a District Court ruled that tattooer Taiki Masuda broke the law by tattooing without a medical license. Police raided Masuda’s studio in 2015, and he was told to pay a fine. Instead of coughing up the cash, Masuda took the police to court on the grounds that tattooing was an art and not a medical practice. 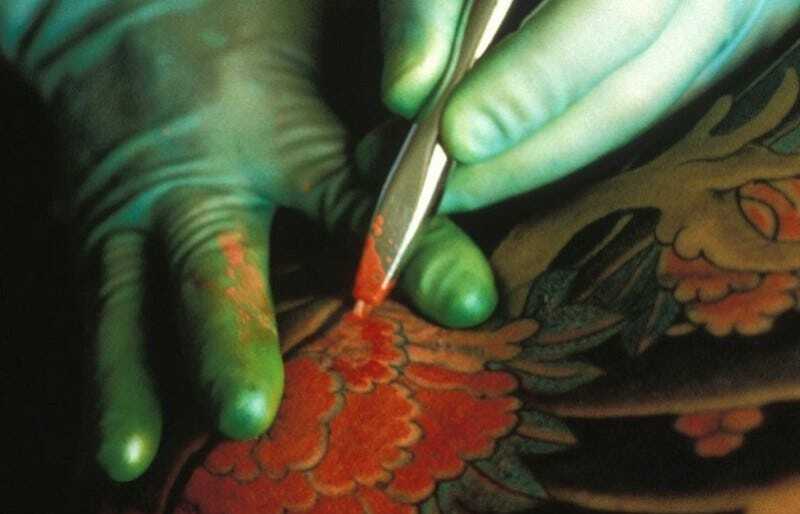 As I wrote in my book Japanese Tattoos: History * Culture * Design, the Japanese Ministry of Health, Labor and Welfare classified tattooing as a medical procedure in 2001 because a needle pierces the skin and inserts ink. The government, however, does not issue tattoo licenses. This classification has long put tattooing into a legal gray zone. Such ambiguity isn’t new to tattooing in Japan. In the years after World War II, tattooing was legalized in Japan, but the practice had been previously banned in the late 19th century. There are many reasons why tattooing has been blighted in Japan, including the long-standing cultural thinking that getting a tattoo was disrespectful to your parents, because you were defacing the body they had bestowed. In the 20th century, especially in the decades after WWII, tattoos became symbols of the yakuza, which didn’t help the art in the PR department. Masuda was sentenced to a 150,000-yen ($1,300) fine, which was half the original penalty. The organization Save Tattooing in Japan that has been helping Masuda has been pushing for tattooing licenses and regulations to ensure safety. Today’s ruling could establish precedent for authorities to go after more tattooers instead of helping to create a safe tattooing environment. In other countries, tattooers have worked with local governments and doctors to establish guidelines and regulations. That would seem to be a more logical way to handle this issue instead of requiring tattooers to become doctors so they can practice their craft. “I do not accept this ruling. I’m practicing art and tattooing is a part of traditional Japanese culture,” Masuda is quoted by The Japan Times (full disclosure: I am a columnist there). Asahi reports that since the ruling was announced, Masuda’s lawyers have filed an appeal to the higher courts. Why Is There a Tattoo Stigma in Japan?